HIYAAAAAAAA! 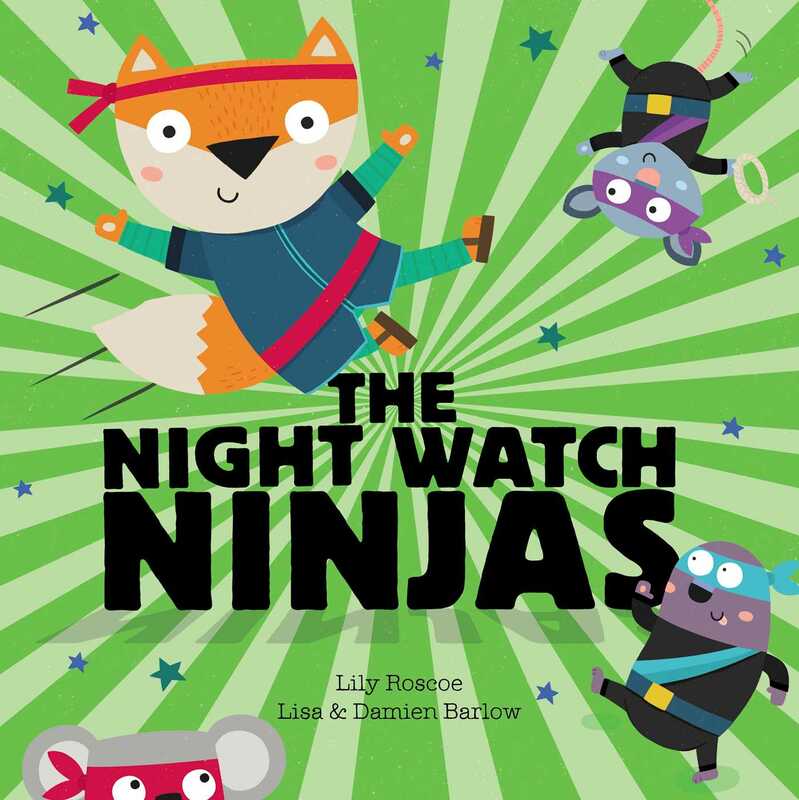 Meet the night watch ninjas, keeping your towns safe from evil night-time mischief! When their midnight snack is interrupted by some shocking news, the ninjas don't hang about! Their new mission is to protect everyone from a bad guy as sneaky as he is stinky. Nowhere is safe from his bottom of toxic destruction, and the ninjas are going to need all their skills to foil his devious plans. . . But with lots of stink bombs and smelly cheese throwing them off the scent (literally), things don't always go to plan! For fans of Steven Seagull and Supertato, this vibrant and funny picture book about nocturnal animals will have you laughing out loud whilst cheering on the brave ninjas! Brought up in a house filled with books, LILY ROSCOE has always loved writing and reading new stories every day. She lives in London with her three little boys, whose dreams help to inspire her stories. LISA & DAMIEN BARLOW are a husband and wife team, who met in high school. They are both Geordies and studied at Leeds College of Art. They like to work on projects together as they both work in such a similar style. If you can't find them designing you will most likely find Lisa tending to her numerous cacti, dotted around the house, and Damien reading about dinosaurs.